With the drop in temperature there was a mad scramble to drag out the jeans and jackets in time for our Open Water Triathlon (and that was just the volunteers and spectators)! We need not have worried, by race start conditions (including that of the water) were absolutely perfect. Our thanks to RD Glen Scholz for setting up this event for us. Thanks also to our other wonderful volunteers, again we are extremely grateful to have people like you at each of our events. 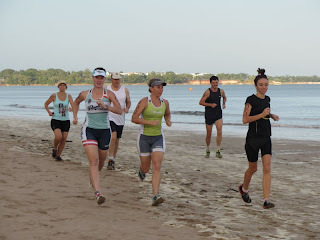 That was our last tri format event for a little while as we now have our annual Duathlon Series coming up. The runners among us are looking forward to that! 1. Current F55-59 Australian Long Distance Triathlon Champion Corinne Fabian has jetted off for France & the ITU World Long Distance Triathlon Championships. John Arrigo departs tonight. We wish both John and Corinne the very best of luck at Worlds and hope the weather & the hills treat them kindly. 2. Jack Wang deserves a nomination for the Broken Spoke Award after his rather painful tumble yesterday. We wish Jack a speedy recovery. 3. RD Glen Scholz gave a thorough race brief yesterday and swim & run course maps were up on our Facebook page but that didn’t stop a few competitors becoming creative with the course. The brain gym workout was tougher for some J. 4. Wow, two weeks until Ironman Cairns. By my quick reckoning and a cursory glance of the competitor list, we have no fewer than seventeen members doing the full ironman event. 5. In Ironman 70.3 Cairns we have almost as many, with twelve known from our club. 6. If you are competing at either event, we would appreciate a quick email here so we can check you are on our list. 7. VP Steve Goat was busy testing the club’s new timing system on a few guinea pigs at yesterday’s event. Our sincere thanks to SBJV for their contribution to this new equipment. 8. Due to increased bacteria levels, Lake Alexander is closed to swimming until further notice. Darwin City Council is going to give it a good flush out. 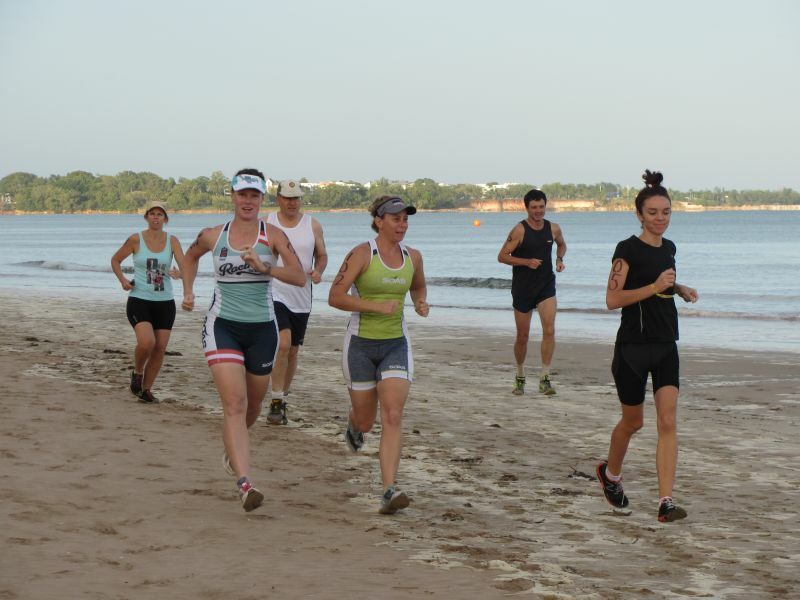 Coach Daryl Stanley advises there is no Monday open water swim squad at Lake Alexander until further notice. 9. Do you tweet? Follow us on Twitter. 10. Good news for pros – IM WA has had its P2000 ranking reinstated. 11. Congratulations to members Helen Mar and Simon Casey on the recent birth of their first child, a daughter – Erica Philomena. All well! 12. Tickets for our annual Presentation Night Dinner (Nightcliff Sports Club, 6.30pm Saturday 10 August 2013) are now on sale here.